Authors are encouraged to submit high quality, original works which have not appeared, nor are under consideration in other journals. 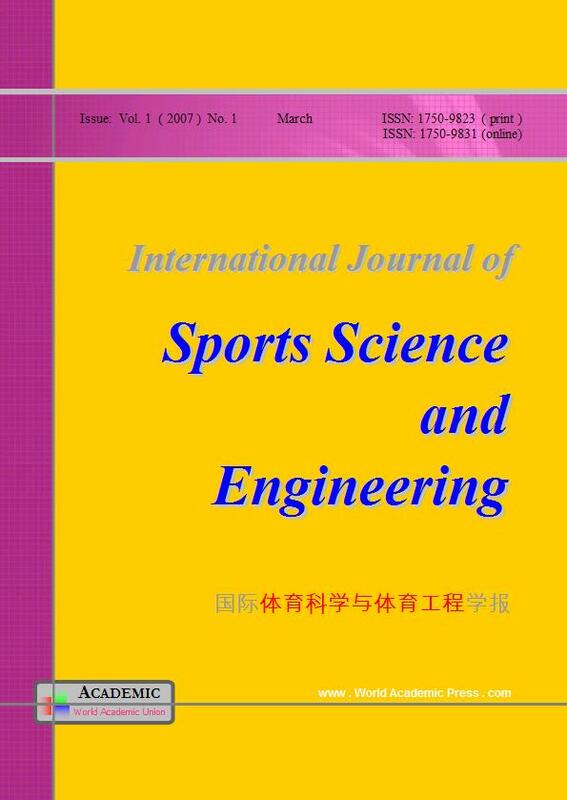 The journal welcomes articles on Sports Science and Sports Engineering. See Home for specific areas of interest. For guidelines on manuscript preparation, please refer to the SSci Information. The paper(s) should be submitted to ssci@worldacademicunion.com. Author also can contact area editors regarding author’s research area by email directly. Upon acceptance of an article, the author(s) will be asked to transfer copyright of the article to the Publisher. The manuscript will not be published until the Copyright Transfer Form is received. The form is available at Copyright Transfer Form. There is no page charge fee, no reviewing fee. Authors are encouraged to submit their full papers. E-copies of the author's issue will be sent to authors (free). If author would like to have extra printed hard copies of the authors issue or paper offprint, he/she can order from publisher with special offer ( £22 for one issue, etc ). The invoice will be provided by World Academic Press, WAU, England, UK. An author issues order form will be supplied by the publisher for ordering author's issues. If you have any queries, please email to ssci@worldacademicunion.com. © 2006 World Academic Union. All rights reserved.